Before you can set out on a brisk walk or hit the gym, the right clothing is important. The good news is that you don’t generally have to go to a specialty store anymore — places like Kohl’s and even Walmart have a decent selection of workout clothing. Look for wicking material as a starting point — it’s preferable to cotton because it helps sweat dry quickly and keeps your workout clothing from getting damp. It’s not much fun to have a sweaty shirt clinging to you while you’re midway through an hour-long walk or run. One feature that is usually quite welcome is some sort of pocket. Zipper pockets are great for securely tucking away a house key or tissues when out on a neighborhood walk. Another feature to consider is elastic waist vs. drawstring. Drawstrings can come untied mid-movement, which can be a pain. This time of year, clothing that is wind-resistant yet lightweight is quite welcome, too, if your exercise takes you outside of the gym. Bulky layers are too cumbersome — search for lightweight fleeces and other layers to add warmth without weight. When the weather is cold, hands and ears are often the first things to feel it. 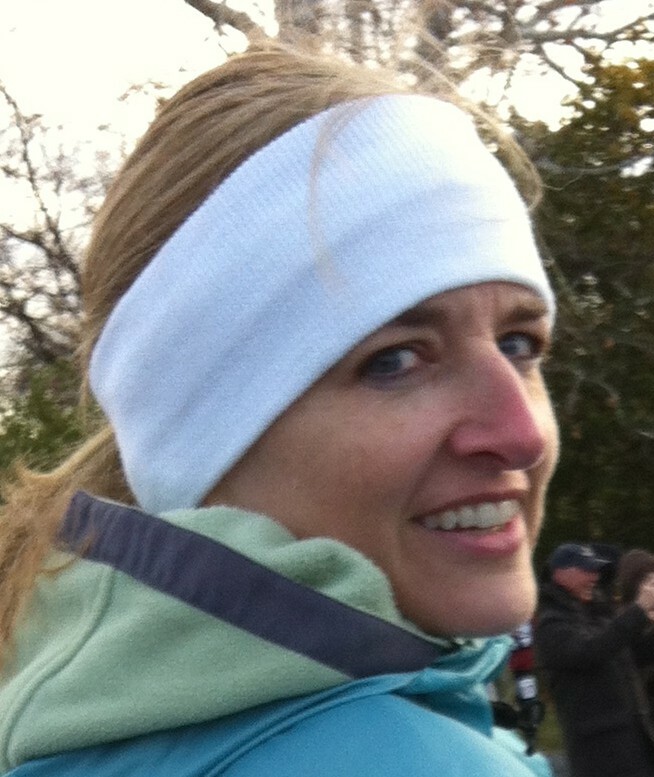 An ear-covering headband and a pair of thin but warm gloves are at the top of my list before a winter walk. I’m a big fan of yurbuds. Have you ever had a problem with your MP3 player earbuds popping out of your ears when you’re doing something highly active, like jogging, briskly walking or jumping rope? Yurbuds are silicone sleeves that slip over your earbuds, and the silicone helps them stay put in your ear. It makes them less slippery. 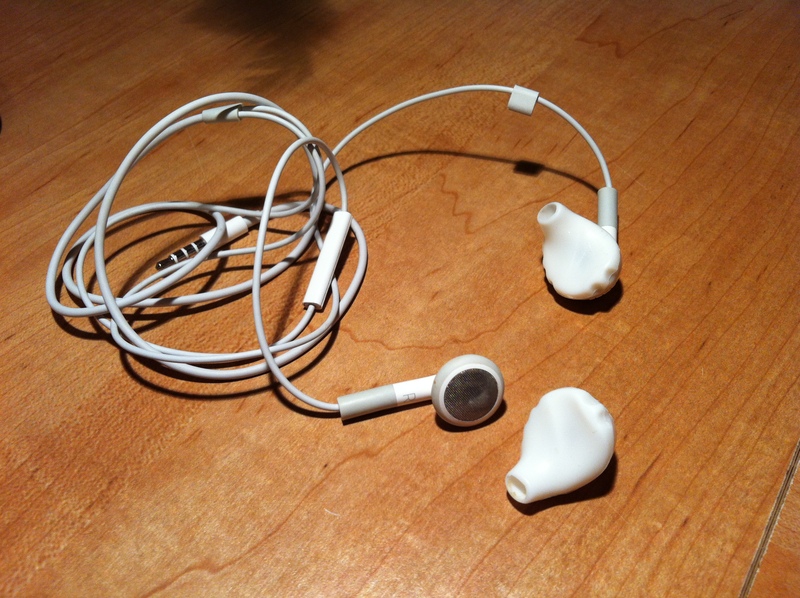 I don’t know if I just have weirdly shaped or sized ear canals, but my iPod earbuds do not stay put in my ears otherwise! A while back, I switched from using my iPod to my iPhone at the gym so I could take advantage of some fitness apps. I could clip my iPod on my shirt hem but can’t do the same with my iPhone. So one of the items on my wish list last Christmas was an armband smartphone holder. I use it nearly every time I go to the gym. It’s handy and keeps my phone out of my way yet easily accessible. If you don’t have clothing with pockets, or the pockets are a bit too small, a SPIbelt comes in very handy. It’s essentially an elastic band with a small, long zippered expandable pouch or two, and you wear it around your waist. It’s streamlined and lightweight but perfect for holding a phone, an ID, keys, etc. It’s great for a walk, run or bike ride. A big part of the thrill of fulfilling a fitness goal, such as completing a 5K or marathon, is showing off the rewards. Or, as most racers like to call it, race bling. 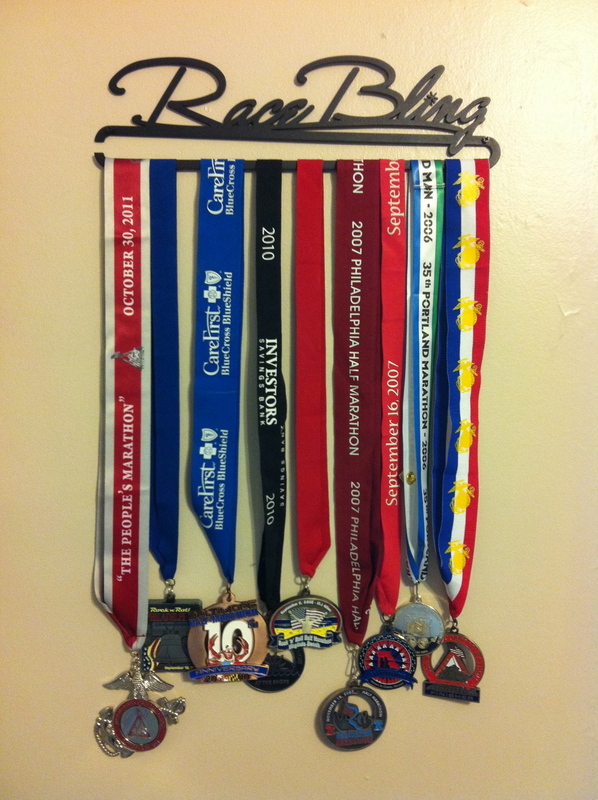 I’ve since added a second hanger bar to hold my — as it says — race bling. One can’t really walk around with medals around one’s neck more than a day or so post-race, but there are many styles of medal hangers so you can proudly display them in your home. 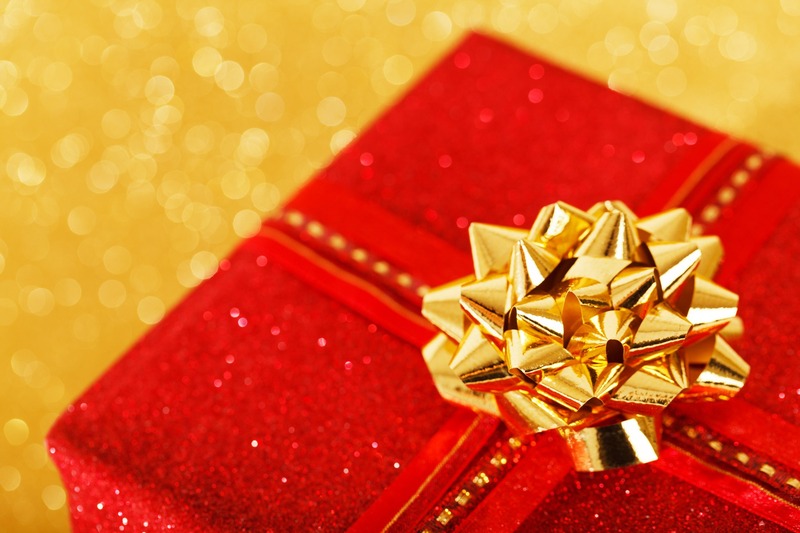 Find a style for most anyone on your shopping list here. Options that include a race bib plus medals are here. Speaking of race bibs (i.e., the race number one pins to one’s shirt during a race), consider a scrapbook or binder to save them in. Most races provide participants with a free shirt, and there are companies that will turn those shirts into a quilt. You can find one by searching on Google. In most cases, none of these items are vital to a workout session. But they can make it easier, more comfortable and more motivating. Happy shopping! P.S. Any suggestions for items I missed? Please feel free to add in the comments! This entry was posted in Advice and tagged exercise accessories, fitness gift guide, gift guide, medal displays, medal hangers, workout clothing, yurbuds by Walk With Joelle. Bookmark the permalink. What a wonderful article! I am sending this wish list to my posse because all the suggestions are super. I use Yurbuds and love them, too. Thank you, Joelle for comping this thoughtful gift list.